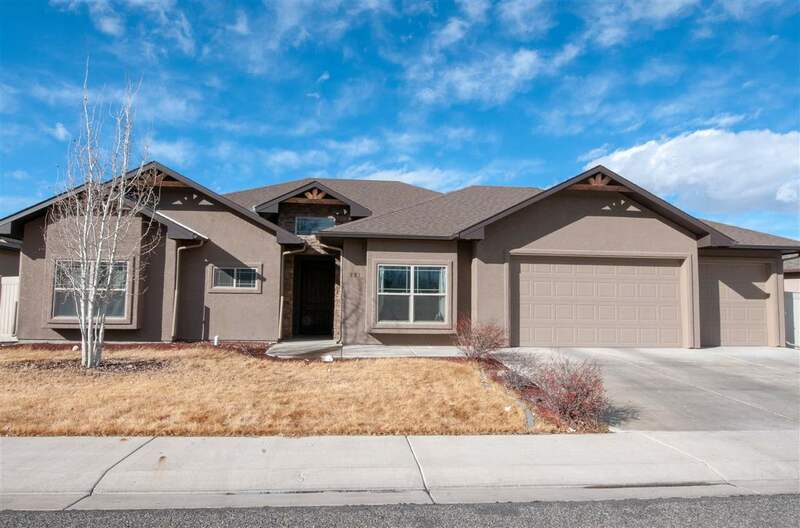 Chipeta Heights, Ranch Style Home. Wonderful split floor plan. Large living room with 11 foot tray ceilings and a beautiful gas fireplace. Kitchen has granite counter tops, pantry and a breakfast bar. 5 piece master bedroom and a large walk in closet. Garage is HUGE! Outside you will find a storage shed and a covered patio sprinklers in the front yard and some extra parking in the front. Wont last long, this is priced to sell! !